Attendees will be eligible for $600* in LASIK savings! It is important when selecting a LASIK provider to look for proven experience and to beware of quick assessments and overblown promises. TLC is a provider who is careful, unhurried and is as demanding about safety and results as we here at Duvall Advanced Family EyeCare. 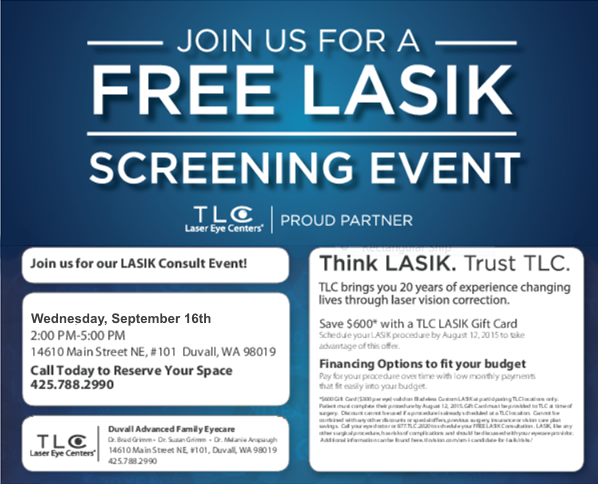 Our office partners with TLC Laser Eye Centers® to provide quality pre and post-operative care for patients. Through this team based approach, a surgeon performs your procedure at TLC, and we continue your follow up care here, close to home. Your eyes are as unique as your fingerprints. A free consultation allows you to find out if you are a good candidate for laser vision correction. 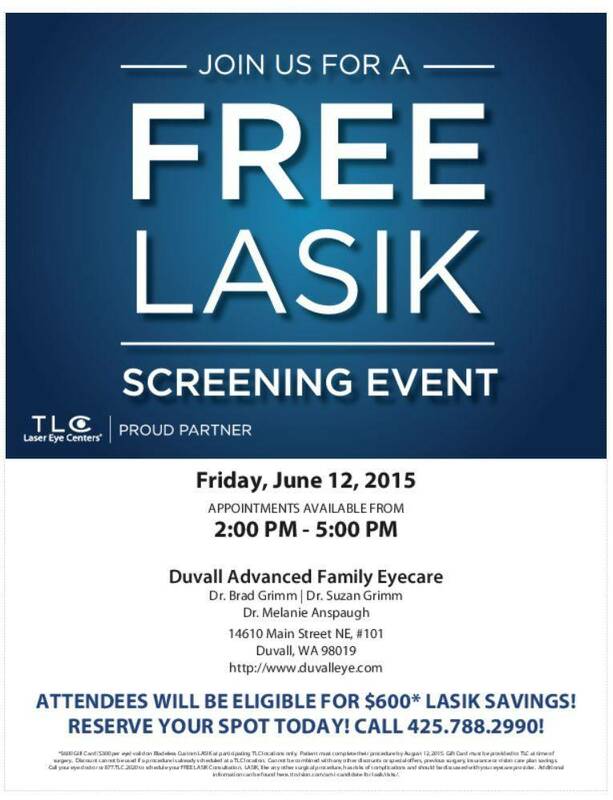 Attendees will be eligible for $600 in LASIK savings! The doctors at Duvall Advanced Family Eyecare have been participating in the InfantSee program since 2005. Our office in Duvall offers InfantSee services, a free assessment for infants between six and 12 months.